The Run-Fast Sports Clinic team have years of combined experience supporting runners and cyclists to recover from injury, stay injury-free and optimise their performance. All members of the team are keen runners and cyclists so understand the frustration of injury, and the importance of returning to the sport with confidence. Scott Newton is a 2:40 marathon runner with a degree in Sport & Exercise Science as well as being an experienced Physiotherapist with Masters level post-graduate qualifications. He has significant experience of working with elite and non-elite athletes to get them performing at their best. Noel Thatcher has over 20 years of experience as a Physiotherapist, with extensive post-graduate qualifications in the fields of manual therapy and rehabilitation of sports, and specifically, running injuries. He won 5 Gold Medals in a 20 year athletics career including 6 Paralympic Games. Michael Crebbin has over 10 years of post-graduate experience as a Sports Physiotherapist and has a clinical interest in cycling related conditions. He is a trained clinical bike-fitter and works with riders from leisurely commuters to international athletes and worked within all of the cycling disciplines at the London 2012 Olympic Games. The physio team at Run-Fast have extensive post-graduate experience and work in extended scope roles within high performance settings and are trained in acupuncture, manipulation, taping techniques and strength and conditioning. They offer specialist services that can make a big difference in your sport like running gait analysis and Physiotherapist led bike-fitting. The vast majority of sports injuries do not require surgical treatment, however if further investigations are needed (such as an MRI or diagnostic ultrasound scan) Run-Fast work closely with London’s finest Sports and Exercise Medicine Consultants, Radiologists, Orthopaedic consultants and Sports Scientists. They leave no stone unturned in returning you to your chosen level of activity. They’ll even go for a run with you if it helps them help you! Based in London’s leading independent running store Run-Fast are meters away from leading experts in shoe prescription and apparel advice. They also have access to some of the finest coaches in the sport of running, from road to track to trail. To make an appointment call 020 7036 2326 or email sportsclinic@run-fast.net. 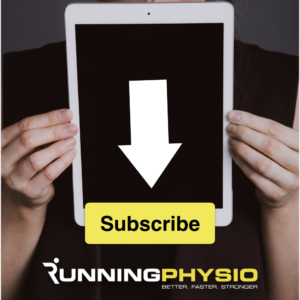 Please mention Running Physio if you make a booking so the Run-Fast team know how you found them.